Destination du jour for the entrepreneur. The patrons of the Tea Salon at Starhill Gallery seem to be the business set - either freelancers or the bosses who can leave the office for a few hours and have no one miss them. Lap tops, confidential tones and sombre expressions the side order with their tea and macaroons. But don't let that put you off. 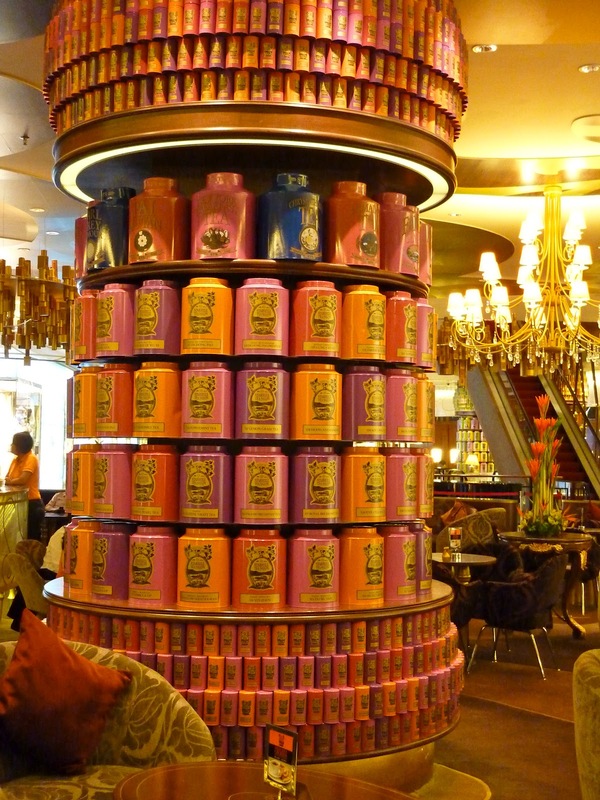 Fantastical store design, with gravity defying displays of giant tea canisters in yellow, orange, pink and purple, give the Tea Salon a nice injection of mad-hatter whimsy. 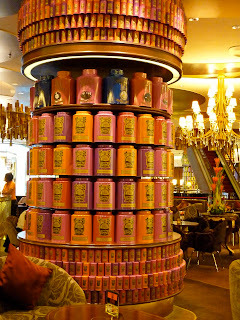 The tea selection, tea pots and tea cups are all very good. On this occasion, we only had macaroons with our tea, but there is a high tea set available. Therein lies the trouble with short trips - so little time for all the meals you'd like to fit in. The Starhill Gallery is opposite the Pavillion Shopping Centre, look for Sephora and you can't miss it.